The railway line which has for decades connected various countries will now link continents thanks to the implementation of the North-South International Transport Corridor. Being an important route from India to Finland, the North-South transport corridor will reduce the cargo delivery period via various important routes twofold-threefold. This was announced by Javid Gurbanov, head of Azerbaijan Railways at the “International North-South transportation corridor: new directions, developments and perspectives" international dialogue forum on January 12. Azerbaijan enjoys both advantageous geographical position at a crossroads between East and West and developed transport infrastructure, which pave the way for the country to become a regional transport hub. The North-South corridor is expected to turn Azerbaijan into a major transport hub and increase the goods' turnover among member states. “The turnover of goods between India and the EU is 25.5 million tons of cargo a year and delivery can take up to 60 days. With the launch of the North-South Corridor through Azerbaijan, the delivery period will be reduced to 14-20 days, that is, twofold-threefold," he noted. Today, development of the western segment of the North-South transport corridor is in the focus of Iran and Azerbaijan. The North-South railway, which is a part of the North-South corridor, is expected to serve as a bridge to connect the railways of Iran, Azerbaijan and Russia. "Negotiations are underway with the Iranian side, and a protocol was signed last year," Gurbanov stated. "The railway, we are going to build, will connect the Persian Gulf to the Baltic Sea. This is a new route for logistics companies that can deliver cargo both from Astara and Amirabad through Azerbaijan and the Black Sea to Ukraine and Europe, which is beneficial in terms of distance and period. After the removal of sanctions imposed against Iran the trade turnover with the EU will increase significantly, and we can use both sea and railway transport for cargo transportation." Currently, Azerbaijan and Iran are working over the project on joining their railway systems to develop the North-South corridor. 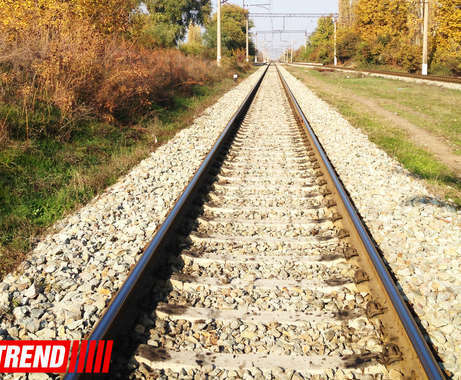 It will be possible after the Iranian side completes construction of the Gazvin-Rasht-Astara (Iran) rail, with a total length of over 350 kilometers. Mohsen Pour Seyyed Aghaei, the Head of the Iranian Railways, said his country plans to commission the Gazvin-Rasht railway in 2017, while the construction of the Rasht-Astara railway will begin in 2016 and finish in 2019. These railways are part of the North-South railway corridor. “The implementation of the Gazvin-Rasht-Astara railway project requires an investment of $1.5 billion. But this project is a priority for the Iranian government and we will ensure the necessary funds,” he said. Aghaei also noted that despite the economic pressure that Iran is facing due to low oil prices, it has all the opportunities to implement transit projects going through its territory. “First option is to link Iranian Astara and Azerbaijani Astara through a railroad. Iran together with Azerbaijan has made a commitment that the process will be completed by the end of 2016. In this case, goods will be transported from Bandar Abbas to Gazvin via railway. Then they will be transported to Astara by other vehicles and then - transported via the Azerbaijani railways,” Aghaei said. The second option envisages cargo transportation via Iran’s Amirabad port. “Within four months we will create the opportunity to direct the loading of goods directly on to ships at the port. Then from Amirabad the ships will be delivering the goods to Baku's Alat port and then to Georgia via railway." he added. The forum ended with signing of an agreement on the development of mutual cooperation by Azerbaijan, Georgia, Ukraine, Iran signed. Experts believe in the importance and capabilities of the North-South corridor. The capacity of this corridor is estimated at more than 20 million tons per year. The North-South route suggests three routes - the trans-Caspian (in fact, the sea route between Russia and Iran with an access to the railway), the eastern (a railway link to the east of the Caspian Sea) and the western (via Azerbaijan). They say that establishment of railway communication between Azerbaijan and Iran and the development of the North-South transport corridor will open significant prospects for the development of cargo and passenger traffic between Europe and Asia. Azerbaijan, in turn, will be able to increase its transit potential: it will bring great benefits not only to the country, but also to the region as a whole. The corridor will make greater contribution to the diversification of Azerbaijan's economy and make the country even more efficient and more resistant to any potentially possible global crisis.